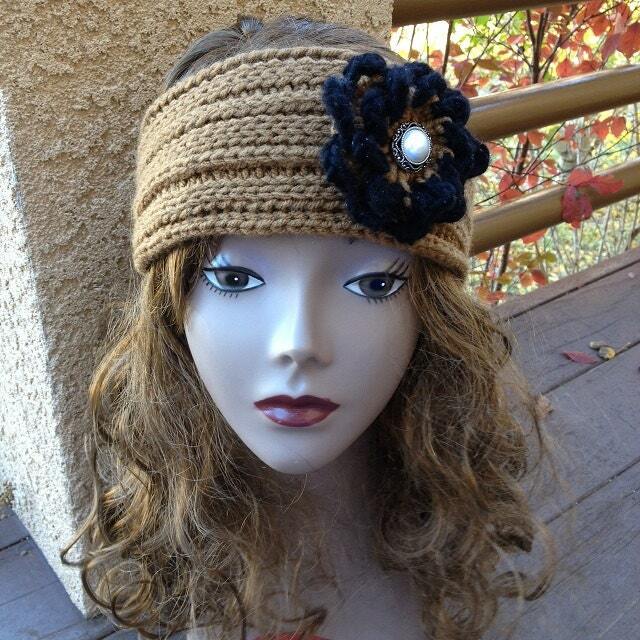 Looking for a cute, yet toasty warm headband? 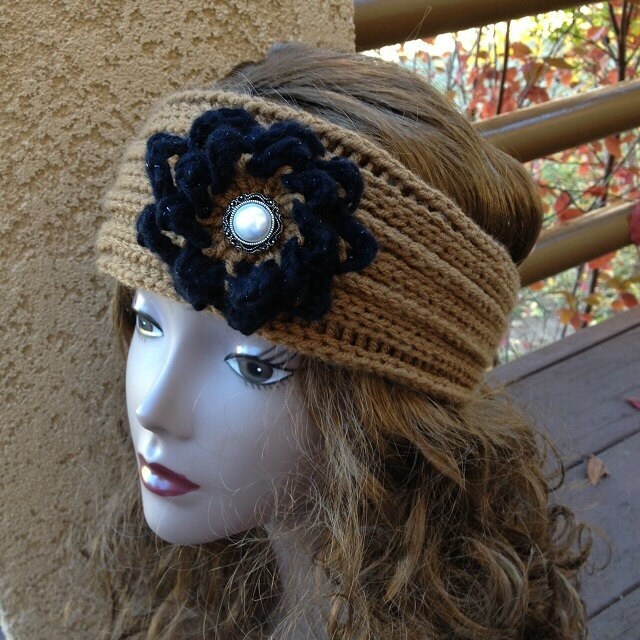 This groovy ear wrap is double-knit on the All-n-One Loom using the spiral grooves stitch. (If you’re unfamiliar with this stitch, it is fully demonstrated in the pattern.) The wrap uses approximately 200 yards of a worsted weight yarn. Red Heart with Love was used in the sample. 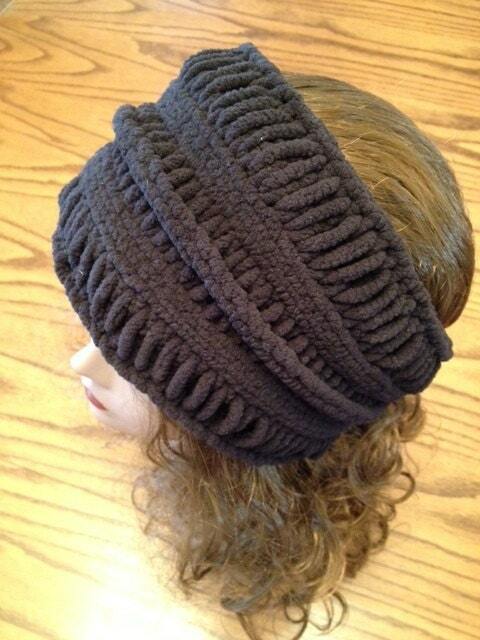 An elastic tie is knit right into the ear wrap, adding flexibility in sizing. 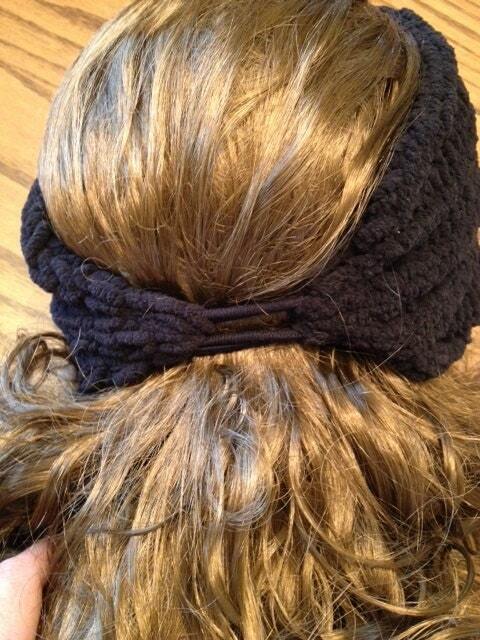 The pattern includes a picture tutorial for casting on and binding off with the elastic hair tie. Bonus Pattern included! I'm also including my Groovy Flower pattern which is loom knit on the 12 peg Knifty Knitter flower loom. These patterns are suitable for an advanced beginner who's ready to take on more than knitting hats and scarves.The pattern comes with a picture tutorial that demonstrates each step. Update: The black ear wrap shows the “wrong side” of the fabric, but is exactly the same stitch as the brown ear wrap. Due to the thickness of the yarn (a super bulky 6), I adapted the pattern and knit this one on the rectangular pink knifty knitter loom using 10 pegs. 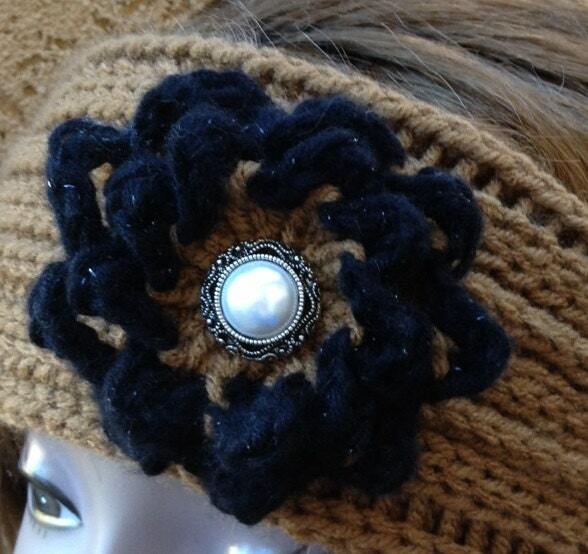 The pattern is available now for download as a PDF file.